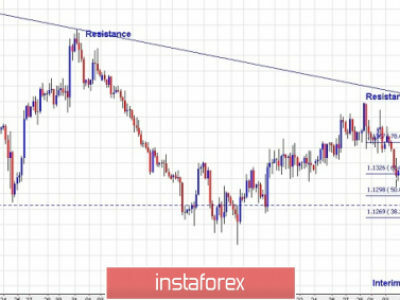 The euro currency was seen extending the declines on the day after the ECB meeting minutes provided to be more dovish than expected. The minutes released yesterday saw officials downplaying the change to the ECB’s monetary policy statement. The central bank cited risks from the global trade uncertainty and the recent strengthening of the exchange rate. Gold prices also gave up the gains from earlier this week after tensions surrounding the U.S. administration’s remarks on Syria and Russia eased. Equity markets rallied as risk sentiment improved. Looking ahead, the economic calendar for the day is relatively quiet. Only the German final inflation figures will be coming out in the early part of the day. Economists forecast that the German inflation rose at a pace of 0.4%, matching the flash estimates. Later in the day, the trade balance figures from the Eurozone will be coming out. Following the decline in German imports and exports, it is expected that the Eurozone trade balance would also narrow. In the NY trading session, the preliminary inflation expectations will be released by the University of Michigan. EURUSD (1.2328): The EURUSD gave up the gains yesterday as the ECB minutes proved to be dovish. 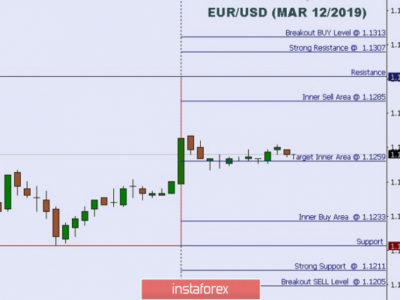 Price action was however contained within the price levels of 1.2400 and 1.2250. The euro fell to the lower bound briefly testing the support at this level before bouncing back higher. We expect this range to continue in the short term. 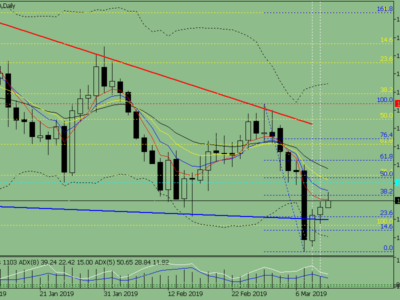 However, with support likely to stall the declines at 1.2250, there is scope for the EURUSD to potentially push higher. A breakout from the rang will establish further direction in price. 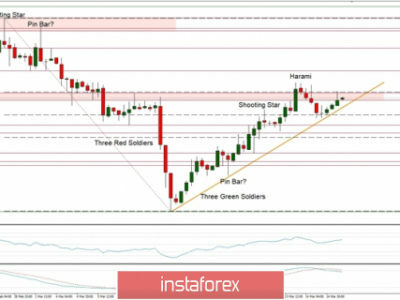 GBPUSD (1.4234): The British pound extended the gains with a bullish close following the doji pattern formed the day before. 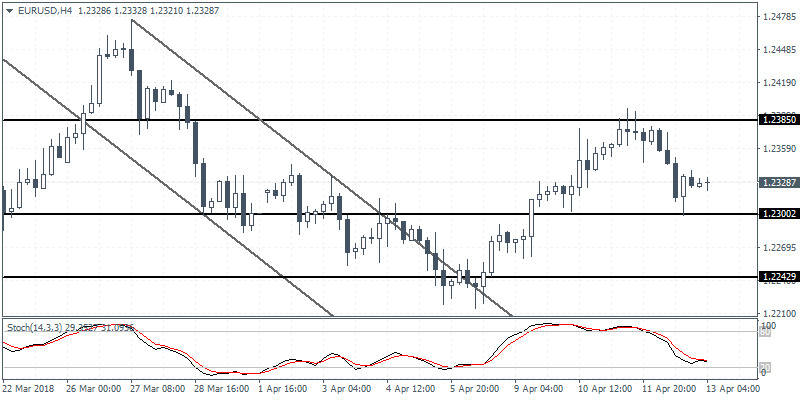 The brief retracement back to 1.4162 saw prices reversing strongly as a result. 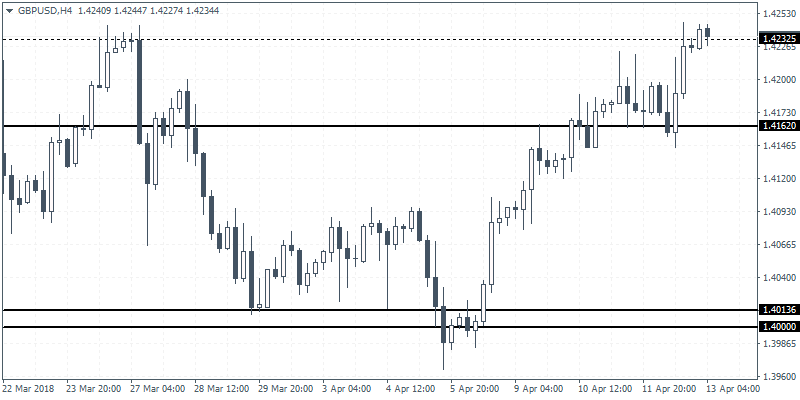 We expect this upside momentum to continue to push higher as GBPUSD tests the highs near 1.4244 previously formed from March 27. In the near term, we could expect to see a reversal at this level and further gains are likely only on a close above 1.4244. 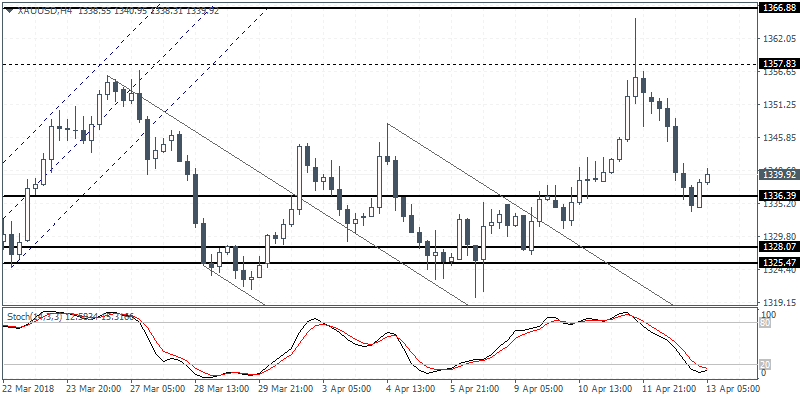 XAUUSD (1339.39): Gold prices continued to slip as price action fell to the lower support of 1336. The minor bullish engulfing pattern formed on the 4-hour chart suggests a near term rally to the upside. Gold prices could be seen retesting the resistance level at 1357 level in the near term. 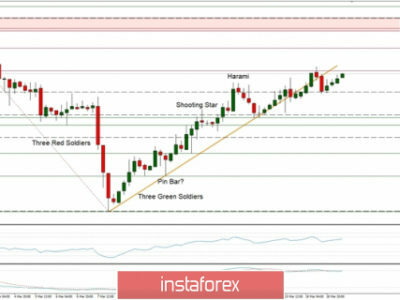 A breakdown below 1336 could however signal further declines as gold prices could test the lower support at 1328 – 1325 levels. For further technical and fundamental analysis visit the Orbex website.